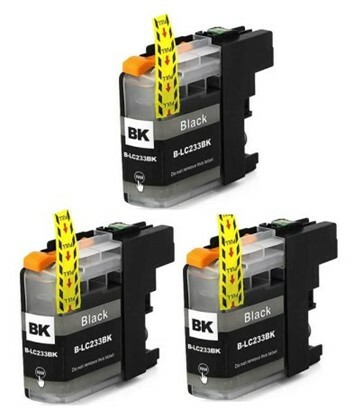 LC233BK Compatible Black Triple Pack for Brother printers. Premium quality - extremely reliable proven brand - many thousands sold in New Zealand. Approximately 500 pages each (for a total of 1500 pages).